Tritia Toyota will present “Who’s Nikkei? 21st Century Community Transformations” at a public forum on Sunday, Jan. 25, at 1 p.m. at West L.A. United Methodist Church. The topic is much discussed within the community. With the advent of multiple generations of immigrants, generational terms such as Issei, Nisei, Sansei, Yonsei and beyond have become a bit confusing. “Shin-Issei” has been added for the “new immigrants,” and “Hapa” for those who are of mixed backgrounds, but the new categories simply open new areas of discussion. She went on to earn her Ph.D. at UCLA, where she currently teaches in the Department of Anthropology and at the Asian American Studies Center. Her areas of special interest include political participation, contemporary Asian migration, transnational Asian American communities, race theory, and social movements. 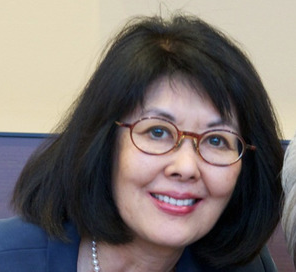 WLA Methodist invited Dr. Toyota to speak as part of its ongoing series of social issues forums. It believes there is a strong relationship between current events and religion. Past speakers have included Fr. Greg Boyle of Homeboy Industries, which serves high-risk youth; Marsha Aizumi, an advocate for transgender issues; and representatives of UCLA and KIWA (Korean Immigrant Workers Alliance), who discussed immigration reform. The public is invited to Tritia Toyota’s presentation this Sunday, January 25, at West LA United Methodist Church, 1913 Purdue Avenue. The program begins at 1:00 PM in the Church Sanctuary. It is free and open to the community. Free parking is available at the church and on surrounding streets.